Thinking supply chain is just a start. To attain your business goals and succeed using supply chain, you need a partner with solutions. We, at CTS, are your partners that can provide you with full-support solutions and stand by you to ensure that our solutions will deliver maximum value to your organization and enhance your performance with NO investment in hardware and infrastructure.At CTS, our professionals are always working to provide clients with world-class solutions, as we understand the complex nature of supply chains and just-in-time delivery. We have developed a set of metrics to monitor the supply chain so that it is efficient, costs less and delivers high quality and value to customers. CTS solutions have been developed by enabling best practices in the area of inventory management, forecasting, demand planning, procurement, and profitability management. These solutions create value by comparing the data across multiple modes, while driving operating efficiencies, service performance, and Profitability. CTS solutions are custom designed to serve to each customer’s unique needs. A significant cost to most organizations is the inventory it carries to support customers and sales. To effectively manage and minimize the inventory investment, CTS can provide you with right tools that can endow with competitive advantage to your firm in the market place. What is the right amount of Inventory? CTS can provide you with an answer to that, with its sophisticated sales planning and inventory replenishment modules. With CTS Demand Forecasting Modules, you can be prepared to hold the right inventory for day-to-day business, rather than reacting to customers hoping to have the right inventory. • Provide the tool to detect and correct the problems. Demand forecasting helps companies in several readily apparent areas, such as production, scheduling and customer service. Being able to rebalance or re-distribute inventory as a result of improved forecast accuracy can produce significant improvements in customer service without increasing overall inventory value. Demand planning aims to reduce forecast error and to suggest buffers considering demand variability. To improve the accuracy of forecasting, CTS uses a powerful and more accurate method, called Collaborative Demand Planning. With CTS method on hand, you neither have to forecast low that ends up with shortages and lost sales, nor, forecast high that ends up with excess inventory leading to damages and write-offs. 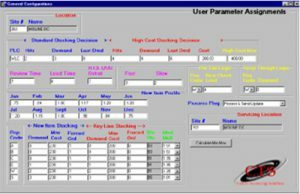 CTS Collaborative Demand Planning uses statistical forecasting algorithms to provide you with accurate, on time and cumulative demand data from various parameters, like marketing, sales, and customers to generate a complete view of all demand factors and forecasts. If you haven’t already, we suggest you to explore CPFR seriously as an essential business component and let CTS plan to fully integrate it into your supply chain process. 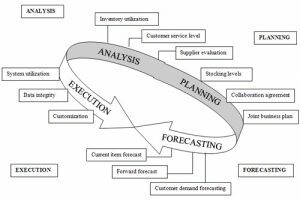 CTS model incorporate the constraints such as vendor capacities, costs, and lead times as part of supply chain to result in superior plans. Depending on the client needs, CTS can model, whether it is a production related or non-production-related procurement. We will assist in developing strategies that can be implemented for efficient and effective business. All these things do not happen in a vacuum — a totally integrated process of profitability management is required to provide the driving force. We provide the force by our analytical tools and management expertise to detect profit leaks to improve performance and profitability. CTS improves operating results using functional knowledge gained from experience working in wholesale, retail, and manufacturing industries combined with effective use of modern management methodologies including Balanced Scorecard, Strategy Mapping and Lean Operating to improve execution in initiatives that drive revenue, liquidity and profits. • Isolate and identify operational problems and recommend solutions for improvement in asset utilization and inventory cost reductions.